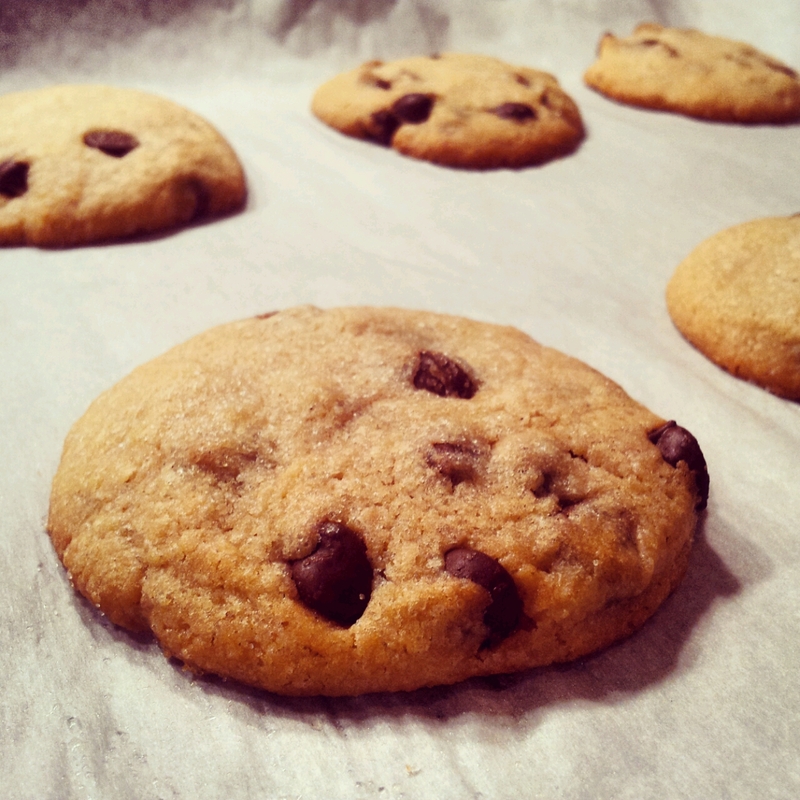 There is nothing more satisfying than smelling freshly baked cookies after a long working day. These crunchy on the outside but chewy and moist on the inside cookies just tastes like home! Preheat oven to 180°C. In a small bowl, whisk together the dry ingredients. In a medium bowl mix butter and both sugars until fluffy. Add the vanilla, and eggs. Beat until well mixed. Add flour mixture; mix until just combined. Stir in the chocolate chips. Make 1 Tsp large balls and place them on a baking sheet. Slightly press them down and sprinkle with a little sugar, for the top to be nice and crackled. Back 10-12 minutes rotating pan halfway through. Let cool on wire rack. This entry was posted in Desserts, Yummy for my tummy and tagged desert.